[#biketowork] 7/29/13 & VEDA 2013! Today was my first day back after 9 days off. The bike ride was beautiful. The 876 emails waiting in my inbox were not! But, I am very glad I did not check them while I was gone! 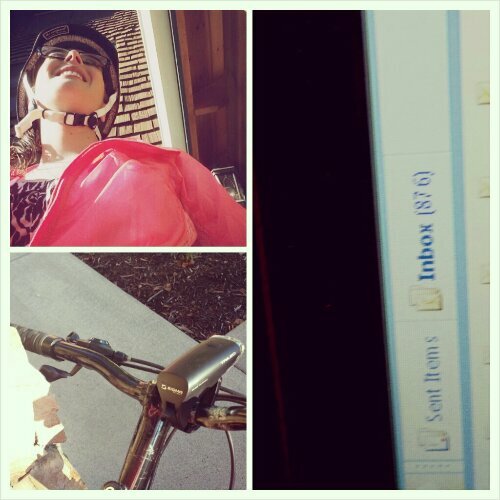 On my ride today I wore: blue slacks, a dress shirt and sweater, and my pink lululemon jacket. I also wore the standard leg warmers, gloves, and of course, helmet. On the ride home I skipped the jacket. There was a lot more traffic today, but it was still a very lovely ride. I am super excited because I have decided to participate in VEDA 2013 (vlog everyday in August) this year! I am hoping it will give me more confidence in vlogging! So…you’ll be getting a random video each day (I apologize in advance)…and still getting your usual posts as well, too :). The VEDA group I’m joining is here..if you want to join too!! VEDA starts on Thursday…so decide fast :)! 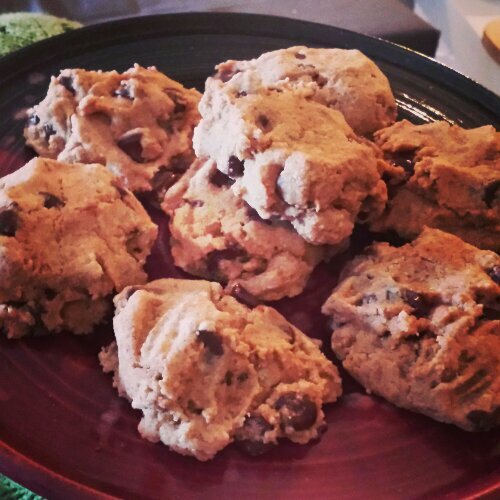 Tonight I made chocolate chip cookies…rightfully named ‘weeknight blues’ chocolate chip cookies. But hey…at least Monday is over…right? !